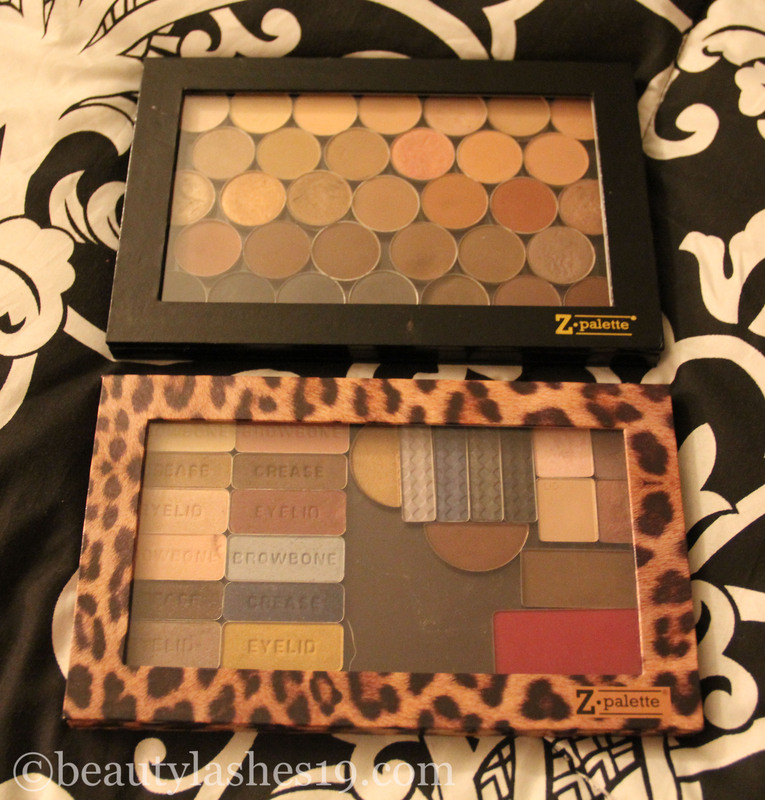 I had mentioned last week how I had decided to de-pot a bunch of eyeshadows and blushes into the Z-palettes.. So, here’s what I did.. I had quite a few single eyeshadows/quads/trios/duos from brands such as MAC, NYX, Revlon, Wet and Wild, Loreal & Maybelline.. I also had three blushes from MAC that I wanted to de-pot.. All of these were occupying quite some space, especially considering their packaging.. 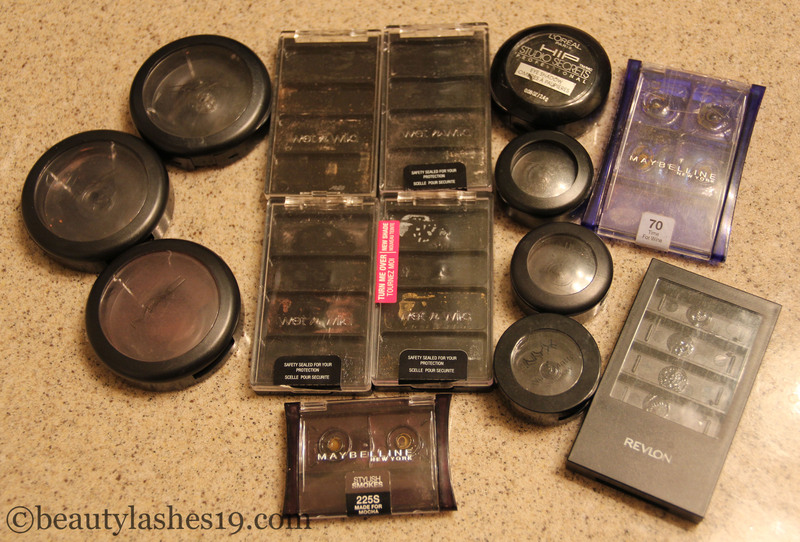 It was getting difficult to remember what shades I had and hence I wasn’t using some of these products much.. So, I decided to de-pot these and store them in one place so its easier for me to see what I have and use them more frequently.. 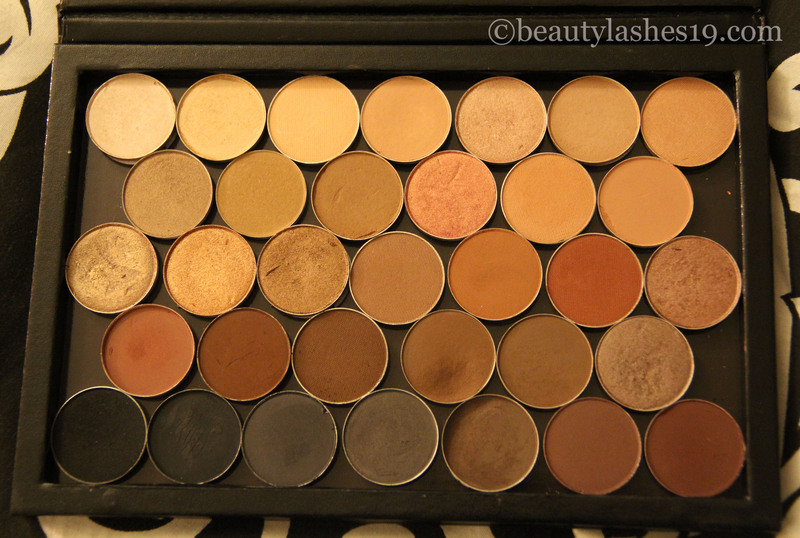 I also ended up rearranging my neutral eyeshadows from different brands like MAC and MUG and stored them in one Z-palette.. These are my most worn eyeshadows.. I was very pleased with what I ended up with..
Can you imagine all these individual packs in my vanity area.. ??? 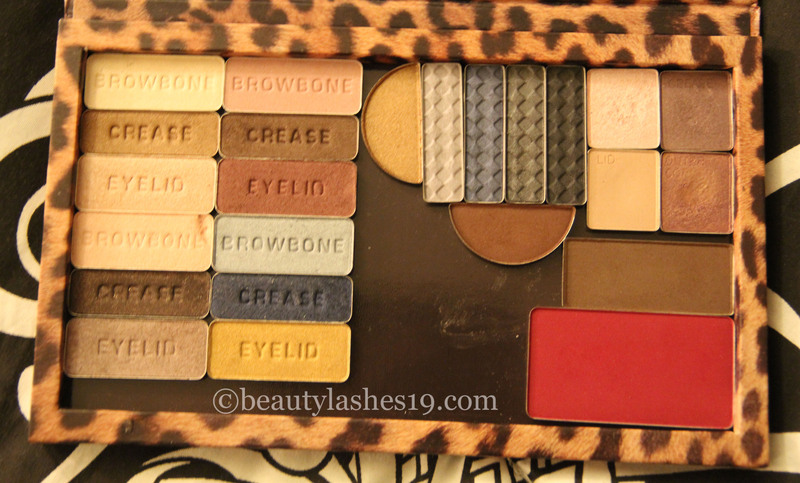 My Neutral palette – Up close in a Z-palette pro..
My de-potted drugstore eyeshadows + 1 inglot blush on the far right bottom.. The MAC blushes were de-potted into the MAC blush palette..
Hope you all are having a great week.. Have you de-potted and down sized your vanity recently?